We often hear of desktop 3D printing being a tool for designers and engineers, but prototyping technology is also making waves in healthcare. ), especially for medical modeling and surgical planning purposes. Simulation specialist David Escobar has been following the 3D printing industry closely. 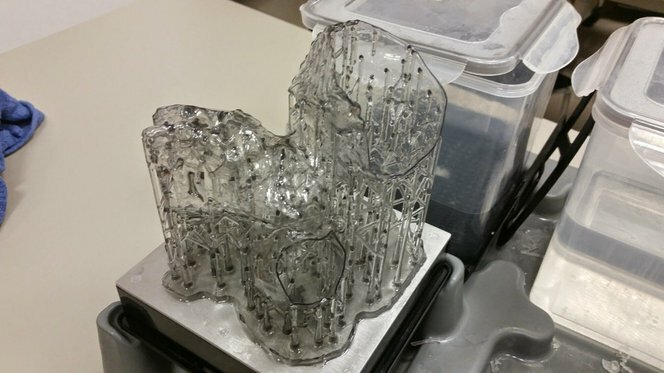 “What began as an idea 8 months ago has grown into great opportunities to work on research studies with 3D printed models, print models from patient CT and MRI images for clinicians to review prior to a procedure, and more recently developing prototypes for new training models,” says David. He uses several desktop 3D printers, including Formlabs 3D printers, which he relies on for printing life-sized medical models. David's setup for a class he taught on 3D printing in healthcare. Precision is paramount for 3D printing in the medical field, as the 3D printed models are being used for surgical planning. “A 3D printer with comparable accuracy and resolution to a Formlabs printer can cost upwards of $10,000,” said David. Price, materials, and build volume make Formlabs 3D printers an ideal choice for medical applications. David uses Formlabs 3D printers to create models of patients’ hearts to help make the procedure or surgical planning process more efficient. Here’s why: every patient’s heart is slightly different. A customized and accurate 3D printed model of each patient’s heart enables the surgeon to adjust to the unique size and features of each patient’s heart. When using stents for congenital heart surgery, there is no one size fits all version. Stent size depends on the unique features of each lesion. Before 3D printing, the surgeon had to figure out which stent to use by looking at a 2D image and taking measurements. Now, the surgeon can practice on a different 3D printed heart model for each patient and design a surgery process that is specific to the patient’s needs. Having a 3D printed heart model can reduce patient time in surgery and can even give the surgeon an opportunity to show the model and explain different processes to the patient and family members. 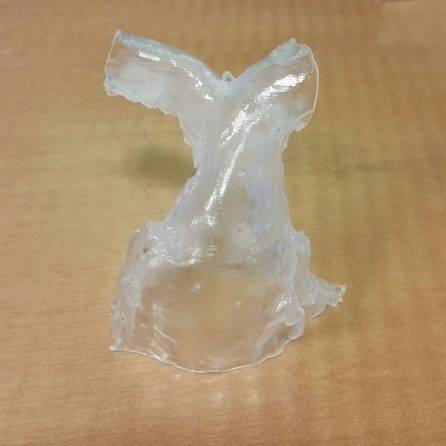 In the hospital-based 3D Printing Program, they typically use Clear or Flexible Resin, which allows the surgeon to see the inside of the 3D printed heart model. David explained that the use of Flexible Resin allows for a more realistic feel and that the heart models typically take 2.5 to 3 hours to print. The low failure rate and easy setup are other reasons why David enjoys using Formlabs printer. Other 3D printers David has tried have a failure rate of 20-30%, but with his Formlabs printer, failed prints are almost non-existent, by comparison. 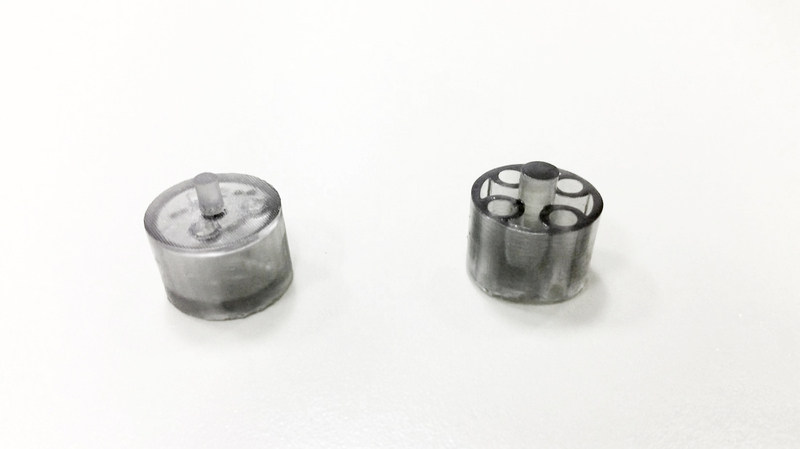 &ldquo;Healthcare applications for 3D printing is still an emerging field; being a part of this new advancement can be exciting and overwhelming at times. Defining clear goals for the program and utilizing available resources will help you to be successful,” says David. Want to learn more? Follow David on his blog, 3D Printing for Healthcare Applications. Download our white paper for a step-by-step walkthrough of the workflow for creating high-accuracy tactile reference models for preoperative planning, enhanced patient consent, intraoperative visualization, and sizing or pre-fitting medical equipment.